The meltblowing process employs high-speed hot air jets to attenuate polymer streams injected from a die head. 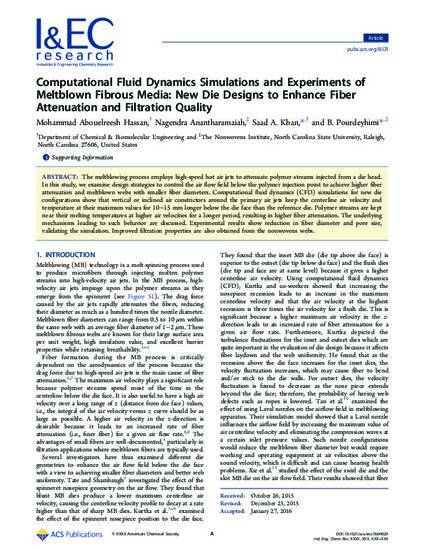 In this study, we examine design strategies to control the air flow field below the polymer injection point to achieve higher fiber attenuation and meltblown webs with smaller fiber diameters. Computational fluid dynamics (CFD) simulations for new die configurations show that vertical or inclined air constrictors around the primary air jets keep the centerline air velocity and temperature at their maximum values for 10–15 mm longer below the die face than the reference die. Polymer streams are kept near their melting temperatures at higher air velocities for a longer period, resulting in higher fiber attenuation.  The underlying mechanisms leading to such behavior are discussed. Experimental results show reduction in fiber diameter and pore size, validating the simulation. Improved filtration properties are also obtained from the nonwovens webs.